Nearly two decades ago I visited my wife’s family in Texas to propose to her. The vetting process for her family involved finding out about my plans for college and career. I remember staying up until four o’clock in the morning debating with her grandpa this question: Is college necessary? His argument was unequivocally this: If a person wants to be successful, he needs to get at least a 4-year college degree. My rebuttal was this: College is good for lots of people, but not for everyone. If you discuss college attendance with almost anyone who is part of what’s known as The Greatest Generation (people who grew up in the Great Depression years) or even those from those who are Baby Boomers (people born in the late 1940s through the early 1960s), you’re very likely to hear some stern advice for pretty much anyone who’s planning to be a family breadwinner: Get your college degree! I understand that rationale. In the past (until about 20-30 years ago), if you wanted to separate yourself from the competition when it came to getting a job or even have an opportunity to be considered for employment at all, you’d need to have a degree. Most well-paying jobs required at least a Bachelor’s Degree. In many cases, higher paying jobs that had the most opportunity for advancement required graduate degrees, a Masters Degree in Business Administration (MBA) or a comparable achievement. Technology has changed all of that in so many ways. There is so much education available in so many different forms through so many different channels that universities and other higher education institutions are scrambling to keep their relevance in areas where they once had a monopoly. The family in which I was raised included five boys, all of whom have grown up and become successful breadwinners for our respective families. All of us make well over $100k per year and have already achieved or are well on our ways to achieve millionaire status before age 50. Only two out of the five of us (my brother and I) have college degrees. The highest earner among us currently, my youngest brother, didn’t spend any time in college. I read an article several years ago published by Forbes entitled, The Great College Hoax, which puts some shocking perspective on the well-published statistic that college graduates make on average over $1M more than high school graduates over the course of their careers. The Forbes article describes a quickly growing problem with college graduates who are so steeped in debt that their hope for the future has been nearly exterminated. In too many cases those who spent the 4+ years in college find it hard to make any more than their non-college counterparts. If you listen to the Dave Ramsey show (a popular program about debt reduction and financial management) on any given evening, you’re likely to hear at least one of these people call in desperate for help. So, if you’re looking for an alternative to lining up with the rest of the crowd, many of whom haven’t bothered to calculate the potential ROI of their college experience, blithely headed off to college because their parents or grandparents told them that was the right thing to do, regardless of whether they are capable of paying for their education, I’m right there with you. And I’m saying this from the perspective of one who has a BS degree in Manufacturing Engineering with a Business Management minor. It took me 9 years to get it, and I’ll admit that it has given me some opportunities I wouldn’t otherwise have had, but I’m still not sure that the benefit (outside of finding the most amazing woman I know and marrying her) of attending school all those years was worth the opportunity cost. The college expense can’t be justified. For example, paying over $50,000 to get a degree to teach history and make $40,000 per year simply doesn’t make sense for most people. The time commitment. 4 years is just too long for some people. They want to be more proactive about their education instead of having to take general education and other required degree classes that are not useful and that they wouldn’t choose to take otherwise. They have a desire to pursue a specific life goal that makes college a distraction. Their high school grades and current education level disqualify them. So, this option is sort of like “going to college”, except that you don’t have all the overhead that comes into play when you graduate from high school and head off to a campus to start fresh as a…well, freshman. For the ambitious (homeschoolers are the most common ones to do this) there are plenty of programs that allow you to complete a college degree while you’re still at home. I recently found a program called Unbound, which allows you to piece together a degree from an accredited university in a much more flexible way. Here are the details of that program. In our modern economy, there are so many opportunities to become a successful entrepreneur that the opportunities can make attending college much less appealing. You can read my post about how to become a successful professional blogger as one example. There are also tons of free and cheap courses on how to start and build a business on Amazon or through other digital channels. Even outside of the digital entrepreneurship world, there are hundreds of different kinds of businesses that you can start for low entry cost and have a business that within one year of building the business makes as much as most college graduates who (four years later) are getting their first jobs. If you have the type of personality that makes you willing to beat the bushes as a salesperson, you can make some serious bank in that career, and most of them don’t require any college experience. Some of these sales-based jobs can take time to build up a foundation of clients and an income stream that would support you, but there are many sales jobs that allow you to start earning good commissions right away. Many sales jobs offer opportunities to make as much or more money as a college graduate. The sales world has a spectrum of people ranging from those who barely make a living or fail altogether to those who are making hundreds of thousands each year. Those I’ve seen who are most successful are ones who have learned on the job, through internal and external sales trainings, and who have consciously developed the skills that allow them to sell well and to maximize the amount of income they receive for each hour of work. Most of those skills can’t be learned in college. One of the books I’ve read that I suggest for people who are going into a sales career is The Sales Acceleration Formula. That book evaluates the overlap of marketing with sales, and will help you take your sales skills “upstream” to become a good enough marketer to make closing deals much easier for you. A Harvard Business Review study (ironic source, right?) found that 8% of CEOs of companies they sampled did not complete college. Working your way up the company ladder can replace getting a college degree in many organizations. The article summarizing the study describes successful people who made their way to the very top (you don’t have to be the CEO to have a good career, by the way) without a college degree were very results oriented and were very good at attracting top level talent. A substitute for college identified in the article is military experience, which is another great alternative to college. See below. There are plenty of high paying jobs available that don’t require a four-year commitment (or even a two-year commitment in some cases) to be hired. On the list of high paying jobs that don’t require a degree, published by The Balance Careers, are diagnostic medical sonographer, which requires as little as a one-year certificate), and tool-and-die maker, for which training can received on the job as well as through a vocational school. There are online courses available for almost any subject you’d care to learn about through community learning websites like Udemy.com, Coursera.com, Lynda.com, and from university online course programs. These courses include topics like online marketing (Facebook ads, content marketing, lead generation), photography, graphic design, and lots of others that provide a firm foundation for building a fulfilling career. These coding bootcamps normally cost around $10,000 to complete. Compared to a 4-year college degree, you don’t get nearly the amount of theory and other stuff, but that’s not really a negative. You get the skills you need to change your career and successfully get a job that pays well without “wasting” so much time on those topics that a university would need to teach to be accredited. You can often learn those deeper theory topics (more efficiently even) while you’re on the job. Coding careers are not for everyone. If you’re interested in going this route, I’d highly recommend taking some aptitude and propensity tests to avoid going down a path toward a career that you’re simply not cut out for. Often, coding bootcamps will offer scholarships, especially to underprivileged (minorities, single moms, etc.) groups. If you need financially help paying for a coding camp, I’d suggest looking at a few different bootcamps (they can vary widely in their approaches to financing the bootcamp) to see what they offer by way of discounts, scholarships, and financial aid. Another great reason to choose the military as an alternative to going to college is that it represents a payment of service back to the most extraordinary country that has ever existed. 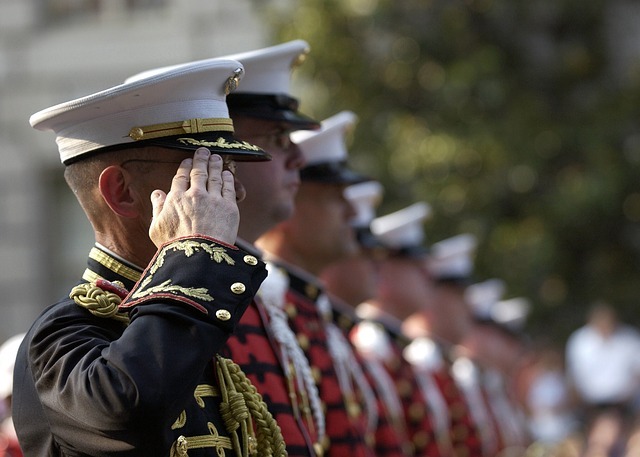 Serving in the military is an honorable endeavor, and allows you to develop and demonstrate patriotism. Should You Choose College or Do Something Else? It’s true that the old school mindset of “college degree or bust” is giving way to the growing number of alternatives. That trend is also being affected by the increasingly exorbitant costs of the traditional on-campus pursuit of a 4-year degree. I believe there was value for me in earning my BS degree, most importantly the fact that I found my wife during the second to last of my four senior years. I enjoyed the atmosphere and I have a lot of good memories of being on campus. I also ended up wasting a lot of money taking courses I didn’t need, and I essentially wasted hundreds of hours doing busy work assignments that I would not have chosen to be part of my education experience. As long as you intelligently estimate what is going to be the return on your time and money investment, you can do well either way. If you choose to go the route of going to college to get a Bachelor’s Degree without having spent time considering the financial value it will provide you (just as you would with any other investment, except more so with college because of how much of a time and money commitment it is) compared with the financial burden it will place on you, you will likely regret the decision. However, if you have made a plan that considers the ROI of a 4-year college education, you can move ahead with your college plans with confidence, or tweak them to ensure that you hit your target. If attending college is not in your future, I hope this list of alternatives to college is helpful for you to take the next steps in your educational and employment career. If you think of other ideas of alternatives to attending college, please feel free to share them with us in the comments or by interacting with any of our social media channels. Is It Risky to Be an Entrepreneur or to Start Your Own Business?